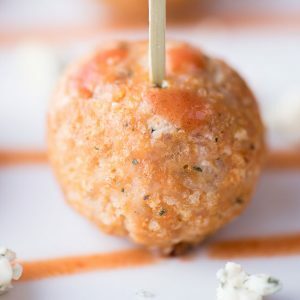 Buffalo Chicken Meatballs - Mama Mia, that's a tasty meatball! 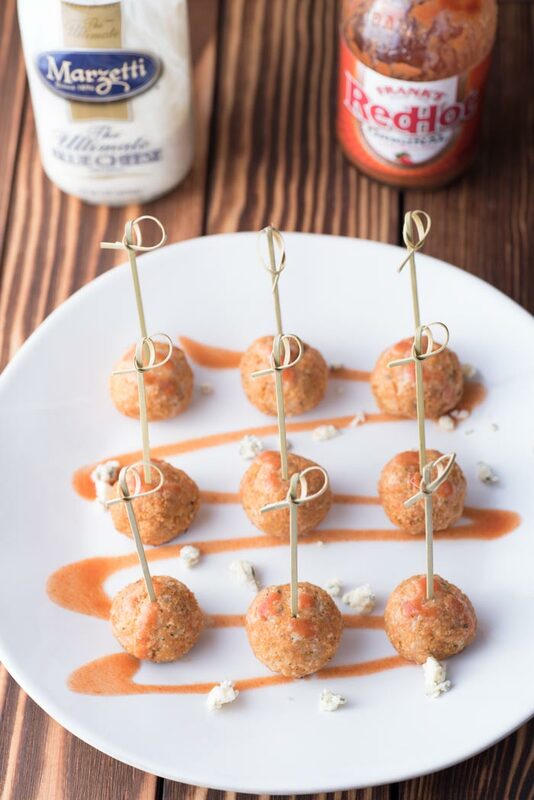 Get your appetizer swag on and get ready for buffalo chicken meatballs. 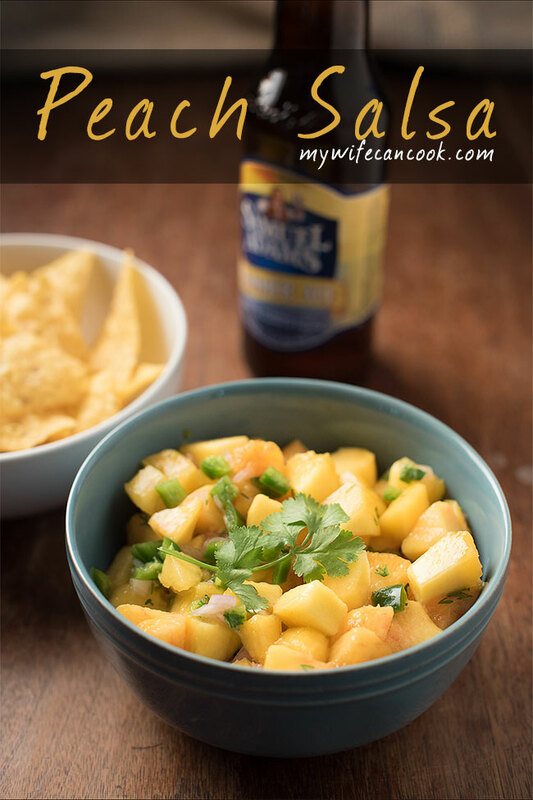 This recipe is super simple and it makes for a great appetizer or fun dinner even our kids will eat. Buffalo chicken meatballs were bound to happen eventually. 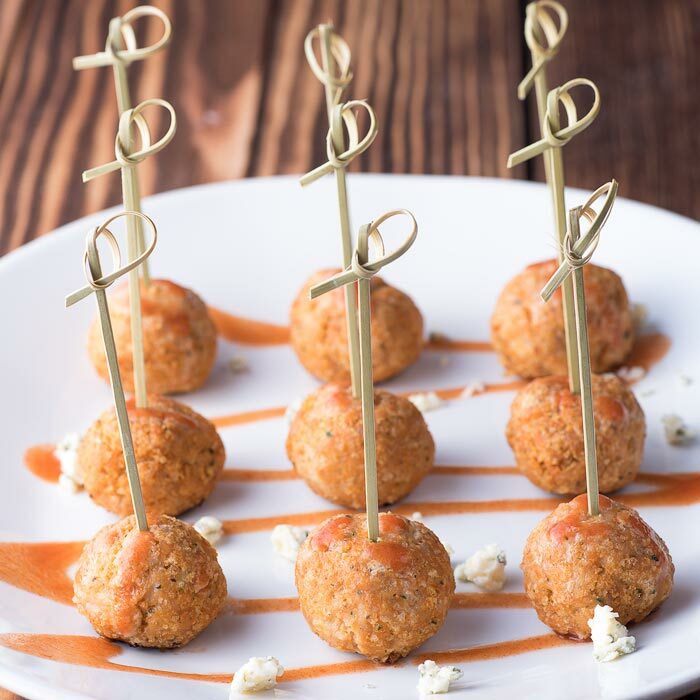 We never turn down the opportunity to make something with buffalo chicken flavors (like buffalo wings) and we have been on a meatball kick lately (well, if you count these meatless eggplant meatballs). So we figured, “why fight it any longer?”. Time to ball out. 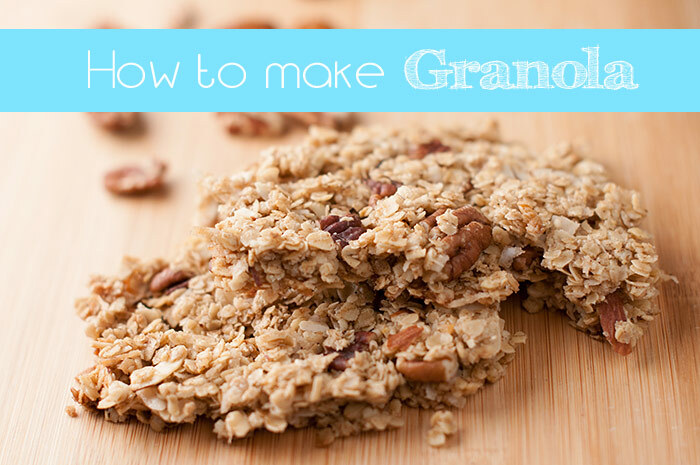 The recipe itself is really simple and can be mixed all in one bowl. It’s just ground chicken, breadcrumbs, cheese, egg, salt, garlic powder, and your favorite hot sauce (we like Frank’s Red Hot). Then you just roll out your meatballs — we find a heaping tablespoon makes for a good-sized meatball — and bake. Done! Buffalo Turkey Meatballs work as well if you only have ground turkey on hand. 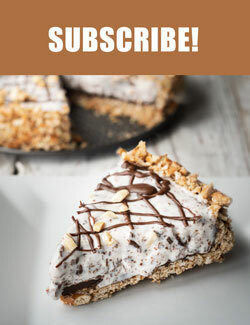 We made these once as a happy accident (I didn’t realize I had used ground turkey until I had already mixed everything together) and there were subtle taste differences, but everyone enjoyed them as well. 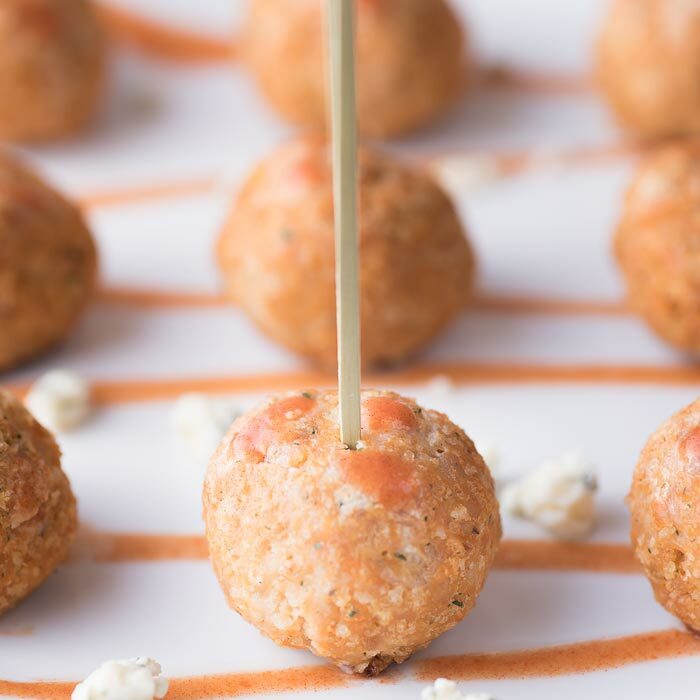 Buffalo chicken meatballs are also a popular party appetizer so you can multiply this recipe if you’re serving a crowd. Even when it’s just us, we find that we’ll often double this recipe because we believe in batch prepping so we have leftovers for the next day. We love to serve these with additional hot sauce and blue cheese dressing (of course). The dressing is for the grown-ups, believe it or not, our kids don’t like blue cheese dressing. I know, right? What’s wrong with them? 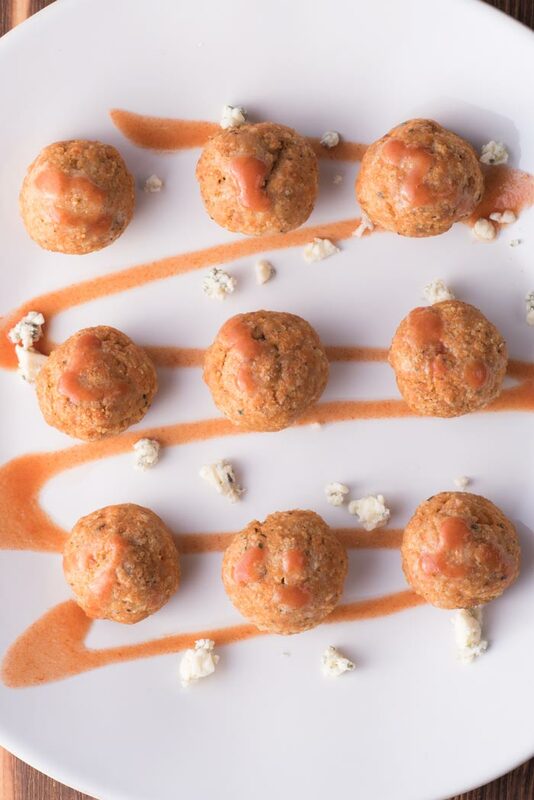 Meatballs made from ground chicken with buffalo sauce. Scoop with a tablespoon and form mixture into balls. Place balls on a sprayed sheet pan (or sprayed and foil lined for easier cleanup). Cook for approximately 20 minutes. Serve with blue cheese dressing or additional buffalo sauce. 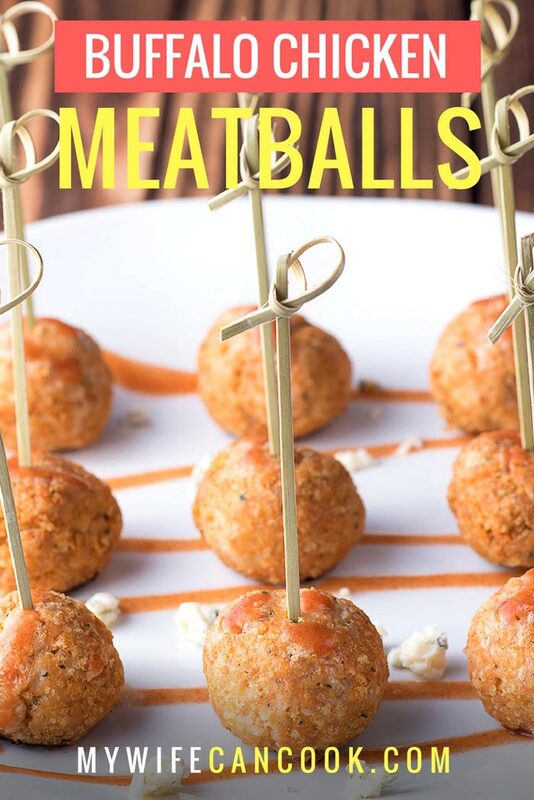 So anything in meatball form is going to be a huge winner – but buffalo chicken??? My husband will go gaga for these. 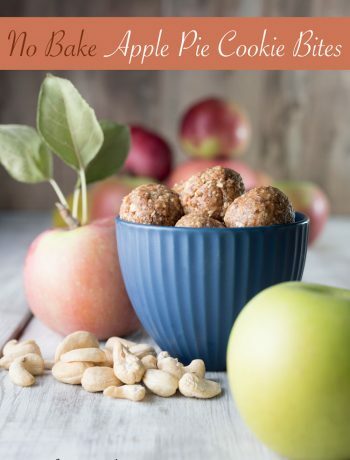 And since they’re baked – not fried — and no chicken skin in sight — these are a huge improvement in the healthy foods department! Winner, winner – Buffalo Chicken Dinner! Thanks! 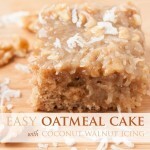 We are obsessed with these lately!